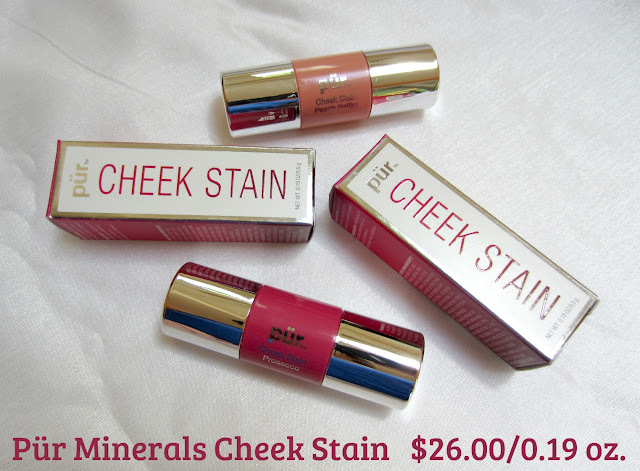 Pür Minerals Cheek Stains were a staple item for me this past Summer, and with their long-wearing gel-like formula, they give me a perfect dewy natural look. I tend to wear less make up during the warmer months, so these were a much-loved addition to my routine. When Fall rolled around, I started reaching for more of my powder blushes, but now that the bitter cold Winter months have arrived and my skin sometimes shows some dryness despite my moisturizing efforts, these little gems have found their way back into the rotation. 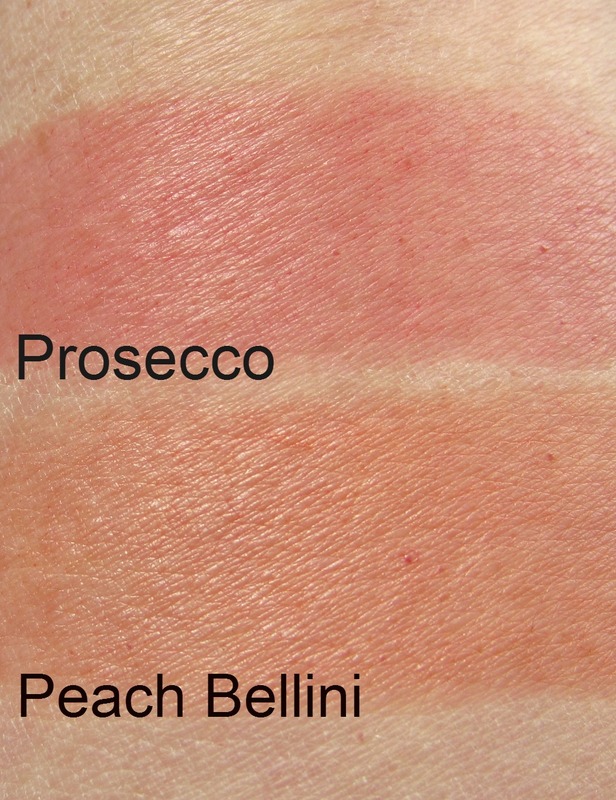 These cheek stains are available in four shades, and the two I have are Peach Bellini and Prosecco. They're packaged in a very portable twist-up case with a blending brush on one end, and the product on the other end, While the brush does work fairly well for blending, I prefer to use the e.l.f. Small Stipple Brush for my application. I'll discuss that a little more below. 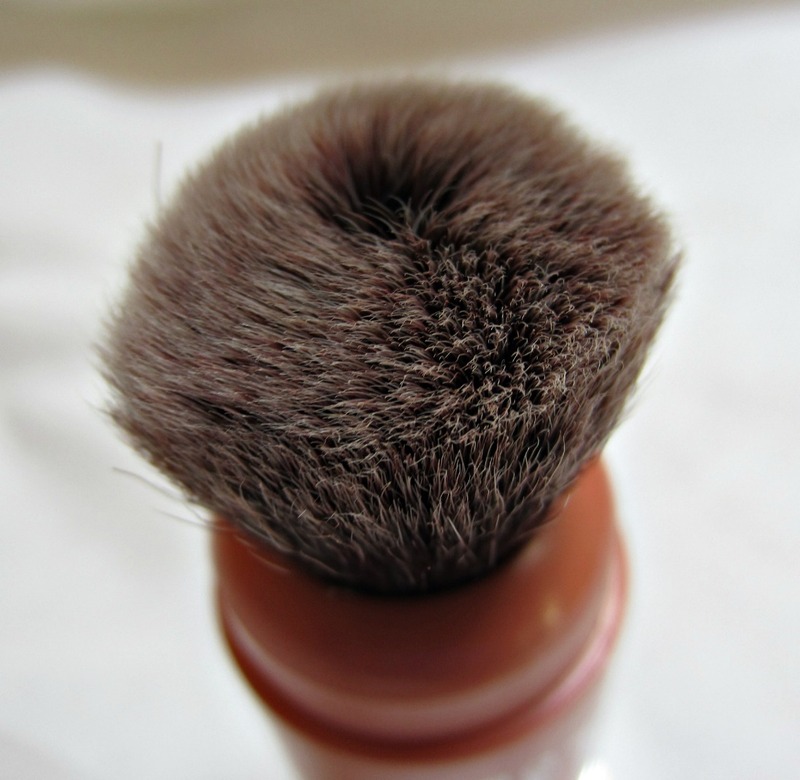 As you can see, the brush that comes with the product is dense, yet soft and comfortable on the skin. In theory, it's a nice addition to the packaging, but in reality, it's very difficult to get the cap back in place without pinching some of the bristles. I found myself fighting to get all of the brush contained back into the cap without damaging it, so that's why I use the e.l.f. brush instead. Below is one swipe of each color, and it's very buildable for a more intense look. I never find that I need to reapply this product, and the color carries the same intensity throughout the day. 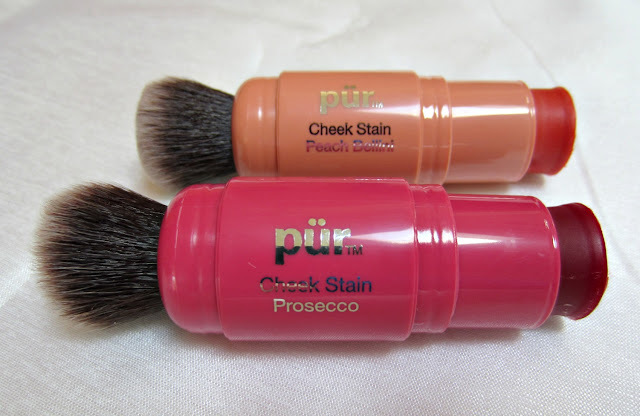 This product can also be used as a lip stain, and I found that Prosecco worked best for me color-wise for that type of application. I would love to see this same gel product formula in both some highlighter shades, as well as a bronzer. *Products featured were furnished for editorial consideration.